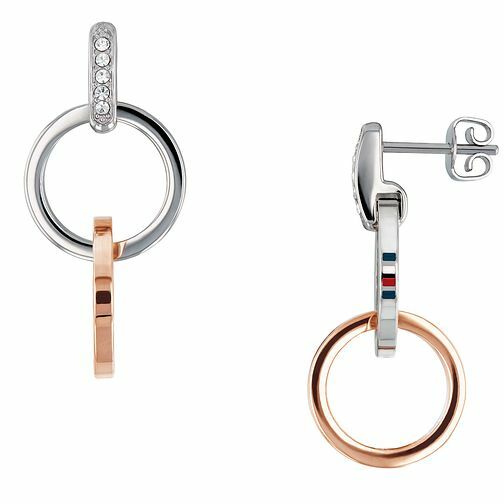 Fun, fresh and fashionable, this pair of ladies' two-toned stainless steel and rose gold plated box chain earrings from Tommy Hilfiger tick all the boxes! Featuring crystal detailing and Tommy enamel flag stripes. These earrings measure 3.5cm length.